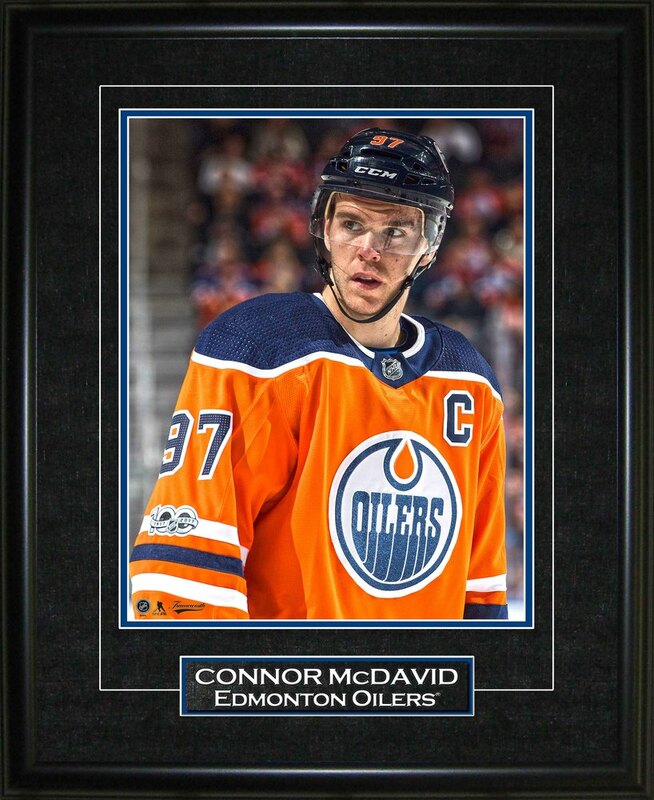 This 8x10" photo of NHL All-Star, Connor McDavid, is perfect for any Oilers or hockey fan. McDavid has taken the NHL by storm taking 5 NHL award in his first 3 years in the NHL. McDavid has taken home 2 Art Ross trophies, 2 Ted Lindsay Awards, and a Hart Memorial Trophy. McDavid was also named to the first All-Star team in 2017 and 2018 and played in those All-Star games as well. McDavid has put up 100+ points in his two full NHL seasons. McDavid was taken first overall in the 2015 NHL Entry Draft. Frameworth is an official licensee of the NHL & NHLPA. Finished size: 10x12".